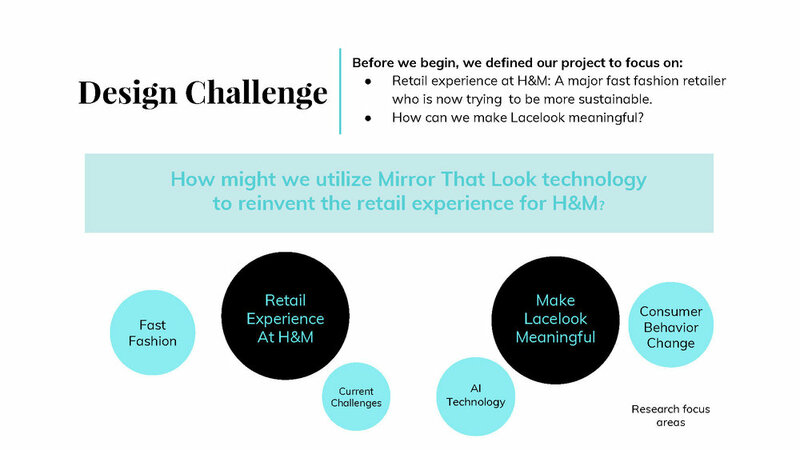 After some preliminary research, our team quickly decided not to have our research focus on the Mirror That Look (our project partner) visual search technology. 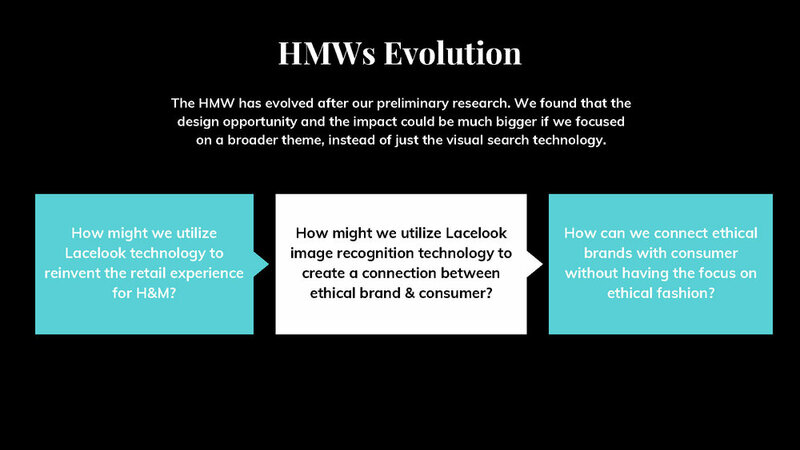 With the goal to deliver a meaningful solution to a meaningful problem, we wanted to look at the project from a broader perspective - the problems in the fashion industry. Starting it broad was no easy task, everything felt so messy and vague for the first few weeks. 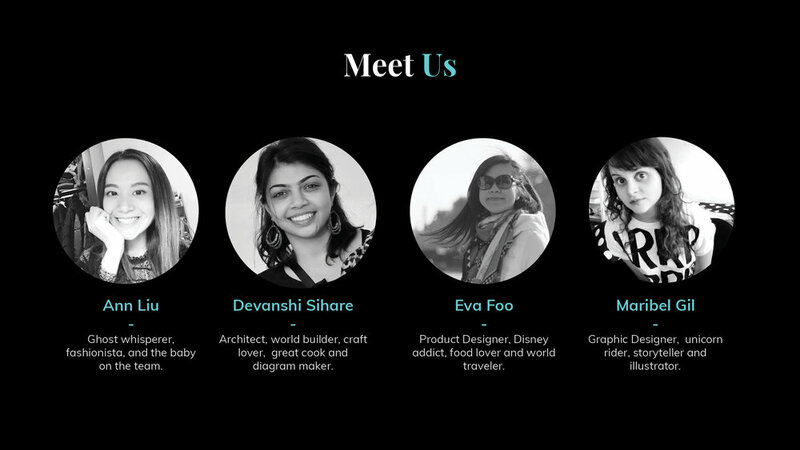 At one point our team had a slight melt-down not knowing what we were doing and where we were going with the project. 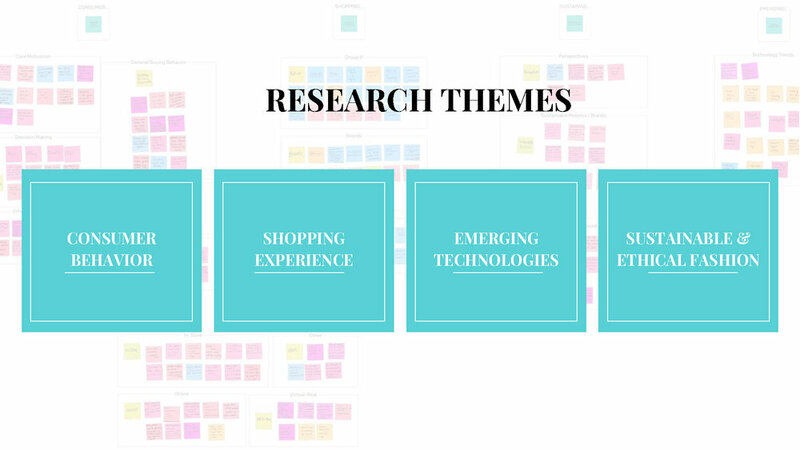 What I learned was that it is OK to start broad, and it is NORMAL for the research phase to be messy. As we kept telling ourselves - if it doesn't feel messy then we are doing something wrong. 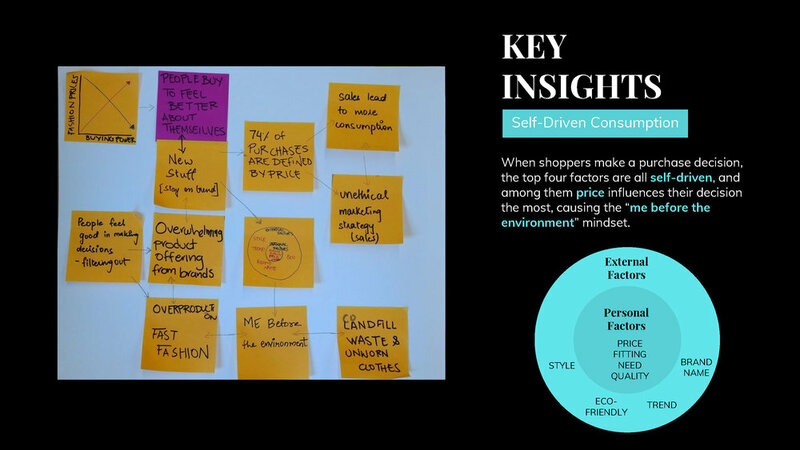 We were able to fight through the frustration and deliver some interesting key insights and opportunity areas that we are proud of. 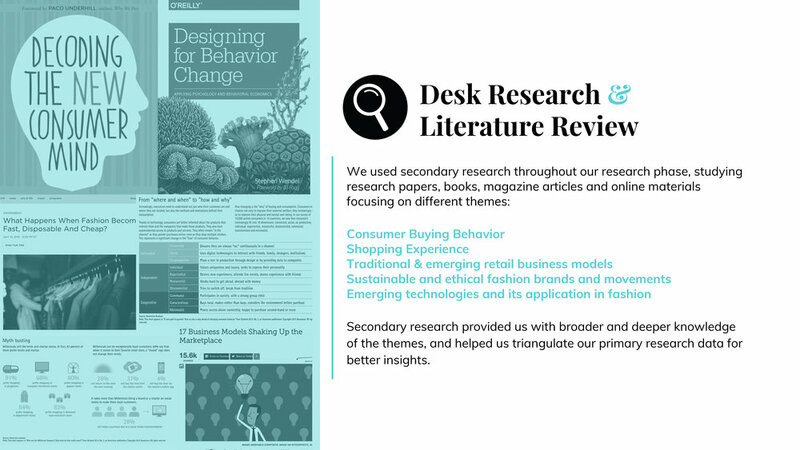 We all know that this booklet wouldn't have existed if we didn't decide to go broad at the start of our project. 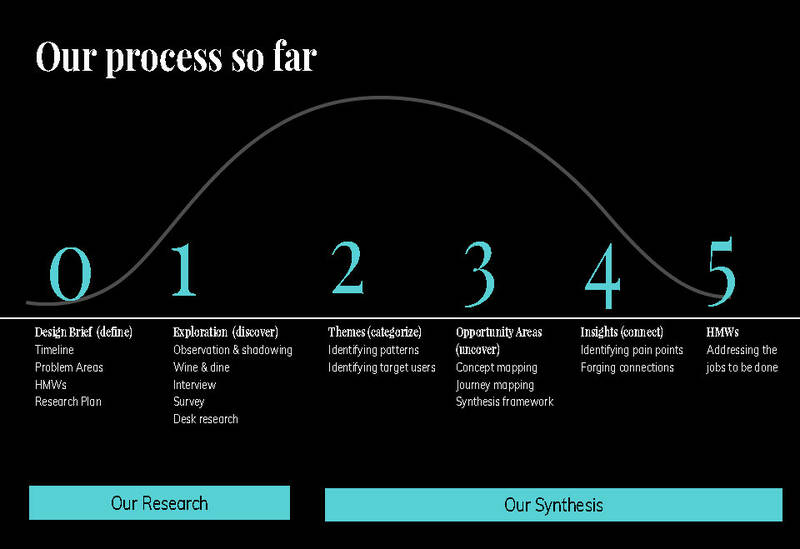 Another learning for us was that synthesis process requiring us asking the right questions. It was easy for us to categorized our research findings into similar themes and draw connection that way; however, it was us asking ourselves what are the hidden meanings behind the findings (specifically on the consumer behavior) that led us to the interesting insights that we now have. 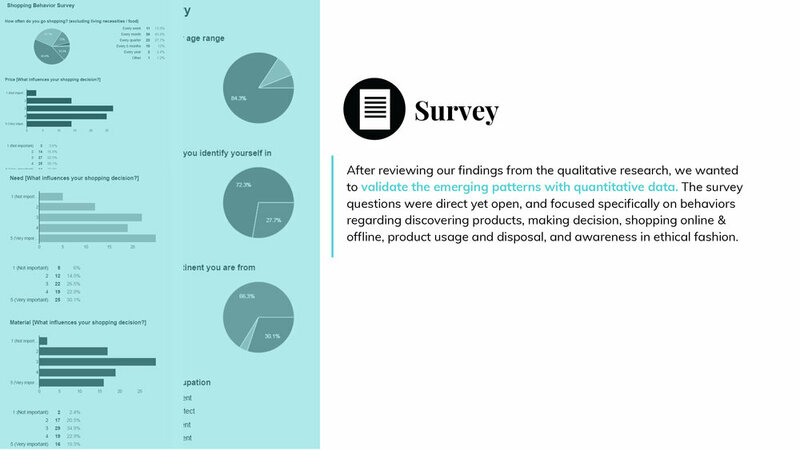 These insights were uncovered through the synthesis process by asking the right question, which allowed us to look beyond the surface of our research data and to come up with more relevant and meaningful "How Might We" questions for our next activity - ideation. 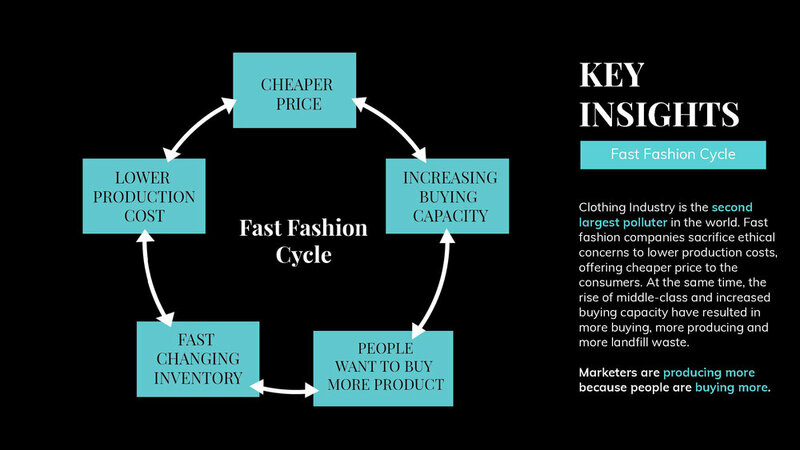 Intervene the vicious fast fashion cycle to drive consumer behavior change? 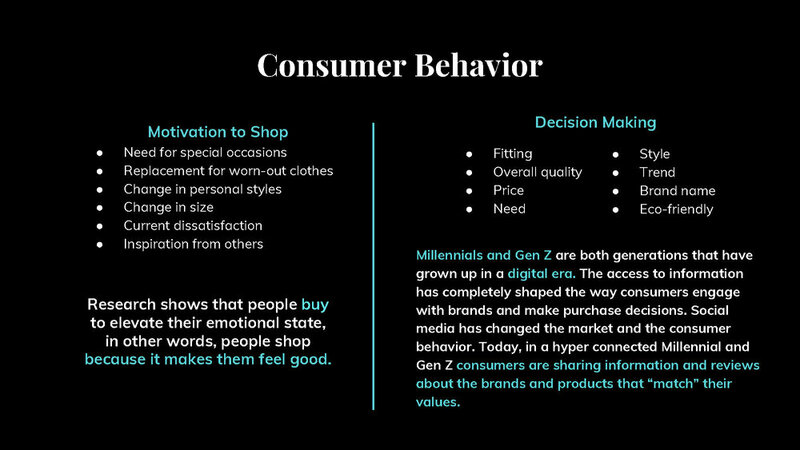 Make responsible buying behavior a selfish behavior? 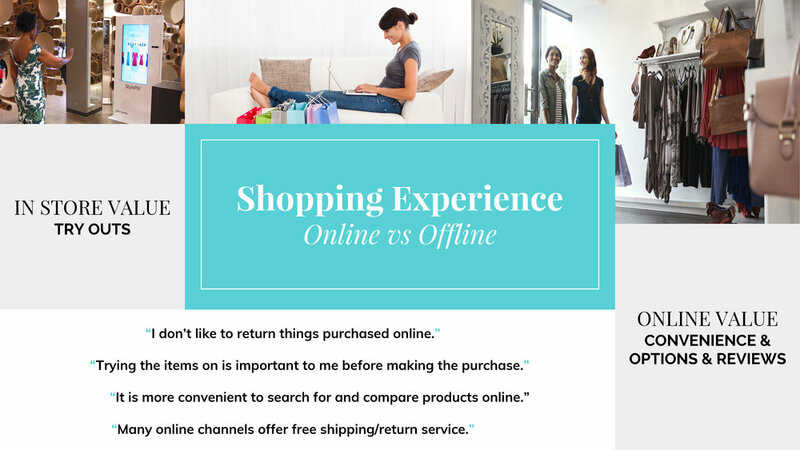 Replace the urge to buy more with something else that is equally fulfilling but with less impact? 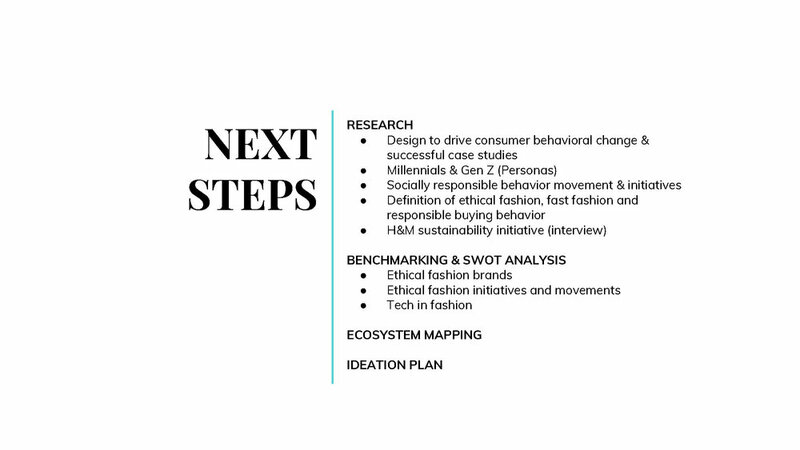 Incorporate the benefits of fast fashion to create an ethical and conscious fashion business model? 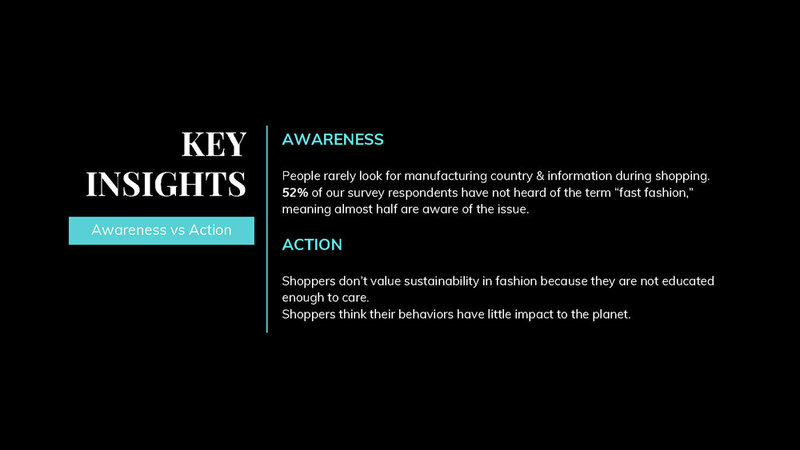 Leverage existing consumer buying behaviors to achieve a more ethical and responsible attitude? 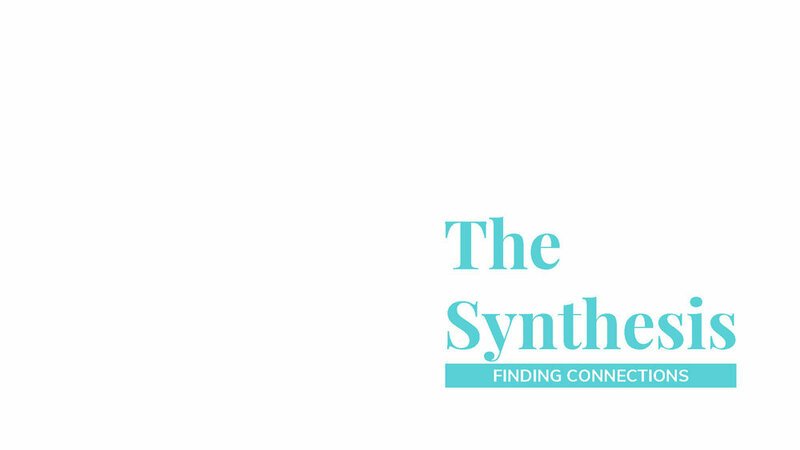 Lastly, a fun little time-lapse video showing part of our synthesis process in 35secs. Good times :) Food supply is absolutely a necessity for synthesis.
" AS CONSUMER, WE HAVE POWER. 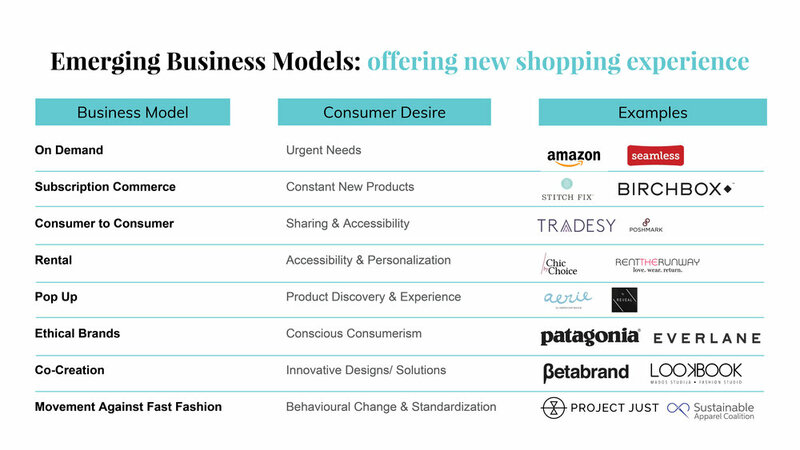 WE ARE THE DRIVER OF TRENDS, AND EVERY TIME WE BUY SOMETHING, WE'RE VOTING WITH OUR WALLET. 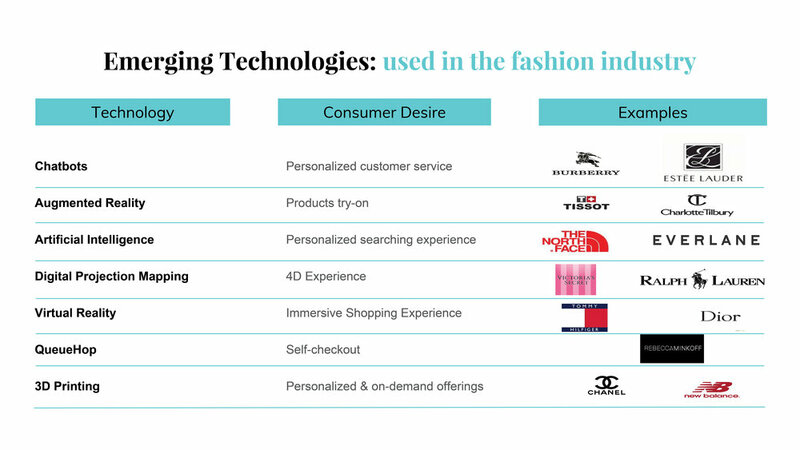 WHEN WE SPEAK, BRANDS LISTEN."